When you first see CB-60, you will feel it is very small. With the size of just 22.6*36.9*75.9mm , it is very comfortable to take in hand. You can’t imagine such a small device can load such a big content, which can sustain the vape for a long time without interruption. 1.As the first device designed for high nicotine and Nic-salts, CB-60 can provide a strong flavor for the users. So I advise those who want to give up smoking but are in the first stage to use this one which can not only meet your demand for nicotine but also reduce your carving for nicotine gradually. 2.It provides electricity at the constant rate of 2300mah, which ensure CB-60 can output 60w. By this can you enjoy the vaping for a long time. Just try to imagine how upset you will be when you enjoy your vaping and then suddenly stop due to no electricity. You must think the dig output of CB-60 is a big treasure. 3.In modern society, we enjoy the benefit of high technology but at the same time we face with more danger caused by high technology. However, CB-60 combine the both perfectly. By it you can enjoy your vaping without worries. Why can I say so. Because CB-60 takes the double-circle protection, which means there are two sets of electricity protection system. So it achieves the complete protection of overcharging, overflowing and over discharging. I don’t say it is a perfect device. It also has its disadvantages—the high nicotine. Yes, as its biggest advantages, it is also its biggest disadvantages. Although it sounds strange, it is a truth because you can’t always use the high nicotine if you really want to give up smoking. So this product is more suitable for the new hands and those having strong carving for tobacco. They can meet their carving by this device and then reduce the carving for nicotine gradually. To summarize, this product is a good device of entry level, which is of good quality at a low price. Just try it, you will get a surprise. Want more information? 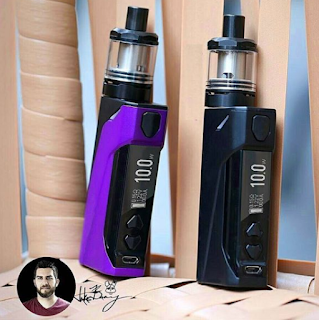 Please click http://www.wismec.org/wismec-cb-60-starter-kit-2300mah-60w-vw-mod-with-2ml-amor-ns-tank.html.